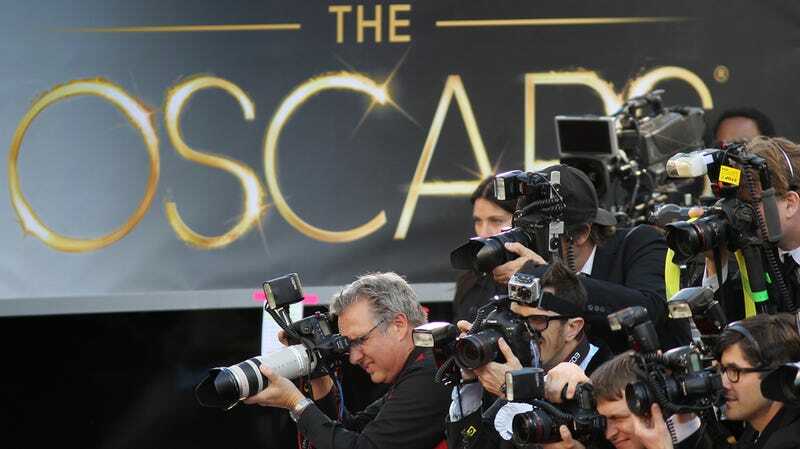 There are over 6,000 people who make up the Academy members who vote for the Oscars. Former gossip columnist and perpetual man-about-town Michael Musto spoke with one. I didn't vote for [Woody Allen's] screenplay, just because I liked another one better. [The alleged scandal] wasn't a factor. I thought Her was really original. Woody Allen's screenplay was so much Streetcar-Named-Desire driven. He borrowed and used things. But Her was an original work of art. Musto asks the voter, "Back when Roman Polanski won for The Pianist, did you feel the same way about not factoring in sexual matters?" Yes, I think it would be irrelevant. A movie stands on its own. I'm not crazy about what he did, but on the other hand, you do a movie, and if it's a good movie, it's a good movie, and if it isn't, it isn't. Is that the prevailing point of view among voters? I think some voters are not going to vote for Woody because of that. I know a couple of people who think he's disgusting. He's the most unpleasant person to work for. The assistant director tells you, "You are not to talk to Woody Allen." Except for the major stars. One woman actor I know tried to approach Woody on the set and she was fired. In the Best Supporting Actress category, Pat did not vote for 12 Years a Slave's Lupita Nyong'o, choosing Sally Hawkins in Blue Jasmine instead. But, Pat says: "I think Lupita will win." I voted for Gravity because I thought it was unique and well done. I didn't think the acting was that good. I thought Sandra Bullock was adequate. I wish they had gotten an actor who could have gone deeper and you could have really felt for. But of all the films, it was the most memorable. It'll be interesting to see whether or not the other Academy members feel similarly. More, including Pat's thoughts about Best Actor and Best Supporting Actor, here.